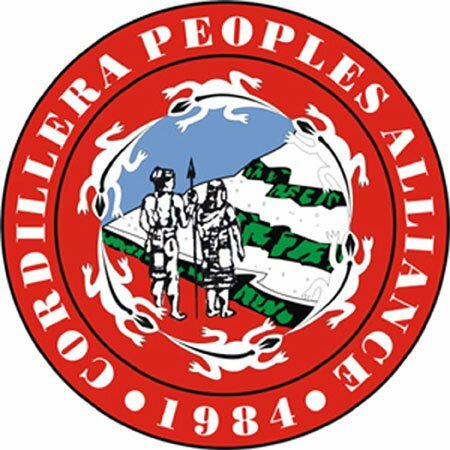 During a Public Hearing, the Cordillera Peoples Alliance presented their position on the Philex Mine Spill. Thank you, Mr. Chairman, for this opportunity to present our position on the Philex mine spill, which Sen. Osmeña discussed in a privilege speech In February 2013. Perhaps the basic question today is, “Why did the Philex mine spill happen?” The collapse and failure of Philex’s TP3 wrought serious devastation and destruction to indigenous peoples of Itogon and Tuba in Benguet and in the peasant and goldpanning communities of San Nicolas and San Manuel in Pangasinan. The Agno River is historically polluted with the mine tailings of Philex since its operations in 1958, as it was only in 1967 that its Tailings Dam 1 operated. Its Tailings Pond 2 collapsed in 1992, resulting to the release of 80 million metric tons (mmt) of tailings.In August 2012, the TP3 collapse released 20 mmt of mine tailings into the Agno. The Philex (TP3) failure is one of biggest mining disasters in the country. 20 mmt roughly translates to 400,000 metric tons/day, assuming 50 days since the first leak on August 1, 2012. The Philex minespill is 47 times the garbage generated in Metro Manila (at 8,500 metric tons/day) and 12.5 times larger than the Marcopper tragedy in Marinduque.20 mmt is equivalent to 20 billion kilograms, and, if one was to dump all these in one hectare of land or open space, the mine tailings would be 800 meters thick. And this is probably the very amount that went to the San Roque Dam downstream of the Agno in Pangasinan. From the start, CPA called for the immediate decommissioning of TP3 and for the rehabilitationand just compensation of affected communities of Benguetand Pangasinan.Rehabilitation should start with the decommissioning of the TP3. Unless the TP3 is decommissioned, the San Roque Dam becomes the catch basin and this poses a serious threat. Government invested a lot for the San Roque Dam, and many communities of Itogon and Pangasinan sacrificed for it, as many were displaced. But unless the TP3 is decommissioned, it is a disaster waiting to happen. It was not long ago when massive floods virtually submerged many towns of Pangasinan, including Tarlac. Disasters affect whole populations, not just indigenous peoples, not just peasant communities or other vulnerable populations and sectors. We also note the fact the SRD is critical because it is built over the Digdig faultline. Mining disasters take place in the Philippines at least every few years: the Marcopper tragedy in 1996, a year after the Philippine Mining Act of 1995 was signed into law; then Lafayette in Rapu-Rapu Island in 2005, shortly after the National Minerals Policy was made official; and now, the Philex mine spill a month after Executive Order 79. Mr. Chairman, we believe that there is a direct correlation between these mining laws and the mining disasters. It is not simply “force majeure” or an “act of God.” Why did the mining disasters keep occurring? What was wrong with these laws, policies and ordinances? What could have been done to prevent these? What is the accountability of the MGB in the mining operations and the state of tailings dams? For one, it should not have given Philex the go-signal to resume operations in Padcal. There is a culture of impunity when it comes to holding mining companies accountable for environmental crimes and social injustice. The Philex mining disaster is a last wake up call for us. We should not wait for another mining disaster to happen. Government should enforce penalties and it is high time that such exercise will already exacted. If not, these mining companies will keep doing what they want. Paying fines is not enough, because it is nothing compared to the extent of the damages. In the case of Philex, paying the fine is should not be a license for it to operate again. The extent of damages far outweighs this. With the Philex mining disasters being historic, our organization and the affected communities have been protesting its operations and those of other largemining companies in the Cordillera due to the irreversible, irreparable damage done to our ancestral domain and ecosystem and violation to our collective rights as indigenous peoples. There are also complaints regarding the unsound plight of its mineworkers. CPA was part of a fact finding mission with CBCP-NASSA on the TP3 failure in September 2012, and in October 2012, we organized and led anenvironmental and social investigation mission (EIM)with KATRIBU Indigenous Peoples’ Partylist, Kalikasan-People’s Network for the Environment, Center for Environmental Concerns, AGHAM-Science and Technology for the People and Philippine Task Force on Indigenous Peoples (TFIP). The full report is being submitted today to the Committee. It covers socioeconomic and health impacts documented from data gathered in Pangbasan, Dalupirip, Itogon municipality in Benguet; among workers, and among gold-panning and peasant communities of San Manuel and San Nicolas in Pangasinan. It also includes findings of laboratory tests from samples obtained at various and strategic locations. As to our knowledge, ours is the only envi mission and testing carried out so far. We humbly propose to the Committee the following recommendations arising from the results of our EIM: a) Decommission TP3 and rehabilitate affected river and terrestrial ecosystems. Rehabilitation must start with the decommissioning of the TP3, b) Transparency, as the damage to the environment remains undisclosed, c) comprehensive assessment of identified impacts sites and d) just compensationof affected communities. We hope these hearings will be sustained, and result to a Senate inquiry inaid of legislation, to review the Philippine mining industry and the laws and policies related to it, and to surface the complete truth and information surrounding the Philex TP3 failure, so the public may know. While Philex may boast of being an international model of responsible mining, TP3 failure, is a clear account of its negligence and unsafe practices. In fact, it shatters the myth of safe and responsible mining harped by large mining companies.